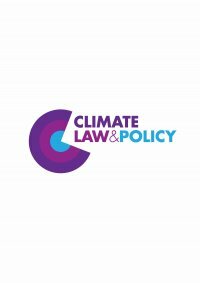 Climate Law and Policy [CLP] is an independent advisory organisation that helps design, implement and sustain advances in environmental governance. We work at all levels, ranging from international policy fora, national, sub-national and local, to project level design and implementation. Our unique mission and strategic approach allows us to work hand-in-hand with country governments, indigenous people groups, local communities, development agencies and civil society organisations, at both international and in-country level. CLP specialises in providing strategic advice for the design of national and project level safeguards responses for REDD+. CLP is a global pioneer and expert in designing safeguards approaches and systems, supporting countries seeking to implement the REDD+ safeguards requirements adopted by the UN Framework Convention on Climate Change [UNFCCC]; and safeguards frameworks derived from bilateral donors and multilateral initiatives. CLP has been supporting the governments of Mexico, Honduras, Bhutan, Guatemala, Peru, Ghana, Dominican Republic, Panama, Costa Rica, Viet Nam, and Papua New Guinea to develop country safeguard approaches and their Safeguard Information Systems [SIS]. Such approaches are designed to ensure consistency of REDD+ implementation with the UNFCCC REDD+ safeguards and guide the set-up of SIS. CLP also supports countries with their Strategic Social and Environmental Assessments [SESA], developing social and environmental safeguards management plans/frameworks [e.g. ESMF], design of a Feedback Grievance Redress Mechanism [FGRM], and developing relevant capacity building tools and activities. CLP also provides expert advice to donor countries and development agencies that seek to ensure their investments meet relevant safeguard related requirements.